Now you can explore India with a team of dedicated and experienced professional tour planners, people with decades of experience in creating rewarding, exciting tours tailor-made to your very own requirements. We are Explore Culture and Tours. Based in the heart of New Delhi the company is owned and operated by Mr Sheikh Nazir, who founded the business in 1976, together with a team of highly experienced travel professionals. 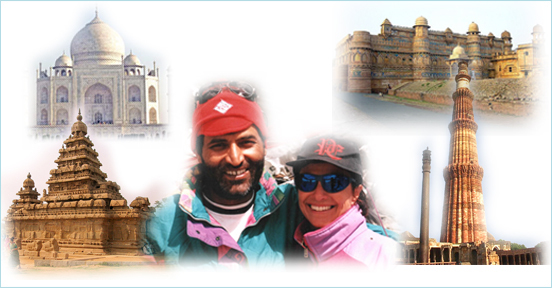 We specialise in creating individual tailor-made adventure tours to India. With a strong emphasis on sustainable travel practices we can provide you with anything from classic Golden Triangle tours, tiger safaris and India wildlife safaris to the country's renowned national parks, to treks and walking holidays in the Himalaya. Do you want to see colourful Rajasthan, wake up in an old Raj-era palace hotel, discover the Taj Mahal or get right off the beaten track in the countryside? Then choose Explore Culture and Tours.